We pride ourselves in not only providing the best service but also providing the best facilities which have been specially designed to cater for privacy. Welcoming reception and waiting room area. Spacious consultation room with your therapist. State-of-the-art equipment for Shockwave therapy treatment. Our fully equipped Gym has the space and equipment needed to help you reach your health goals. delivers rapid muscle development and a whole body detox. It is the safest, most effective and easiest exercise you could imagine! This is superb exercise without the sweat and effort of a traditional workout. And no soreness the next day! Achieve much more in just 10 minutes than you get from a full hour “no pain—no gain” traditional gym workout! Experience an increase in blood circulation and lymph drainage, to oxygenate and detox your body. Improve function of the intestinal tract. Reduce bladder incontinence. Increase elasticity and tighten skin. Decrease cellulite. Tone and strengthen the core muscles. Regain mobility after injury or if elderly. You will improve your strength, balance, endurance and flexibility without having to spend hours each week in the gym or training. And there is no soreness the next day! Individuals who are diabetic, have fibromyalgia or peripheral neuropathy, have osteoporosis, are incontinent or have difficulty maintaining balance, often experience significant improvement of these and other debilitating conditions. 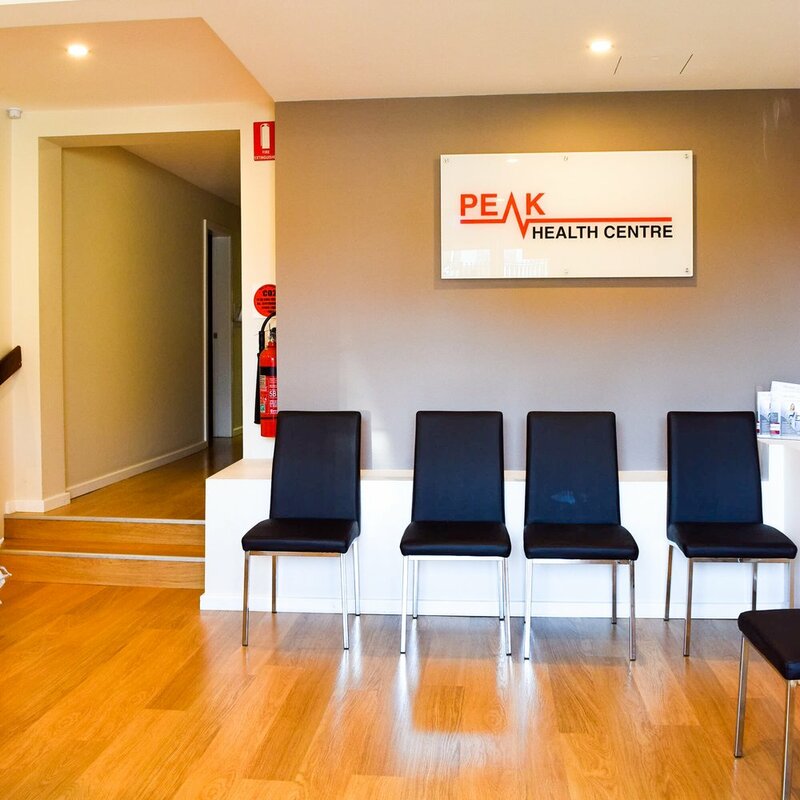 Peak Health Centre, makes no claims the vibrational exercise heals, reverses or cures any medical condition. The anecdotal information about any possible therapeutic value of vibrational exercise for any listed medical conditions comes strictly from individual users of the machine or are based on independent studies which reference years of research into whole body vibration training and exercise, and those studies are independent of the WBV technology and have not been evaluated by the FDA. Anecdotal evidence is passed on so that you can share the information with your doctor, and jointly can decide whether this type of voluntary and involuntary muscle exercise, lymphatic pumping and neural stimulation is indicated for your condition. Always seek the advice of a physician first. Since your doctor may not be aware of the health benefits of vibrational therapy, be sure to print and take “Contraindications” to your appointment. It has G force information so that your doctor can come to an informed opinion.